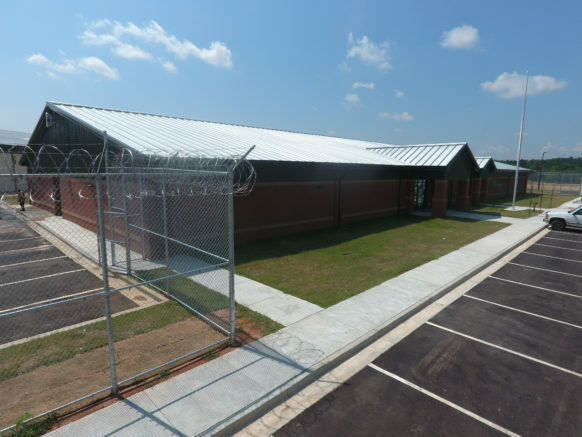 Washington County Law Enforcement Center | Dublin Construction Co., Inc.
Dublin Construction was selected as the general contractor for the new Washington County Jail. The 67,000 square foot facility will house 236 beds. Features of the new site include a perimeter road outside of the security fence for surveillance, a fire range, and electronically monitored and controlled plumbing systems. The elevated control rooms allow for complete visibility into each day-room within the cell pods.